This morning I was feeling very disheartened. I had just driven off from my third campground in as many days. Each was one that I had planned to volunteer at for a few months. Yesterday I was at a 55+ RV park applying for an office position but feeling like an outcast amidst some very nice people who were into a very, very laid-back lifestyle. Although, they had advertised a very active membership doing all sorts of fun things. Boo. So once again, I bid adieu and found myself driving into a Walmart parking lot in Bushnell just to sit in my little home on wheels, be sad a bit, maybe have a cry and decide what to do next. 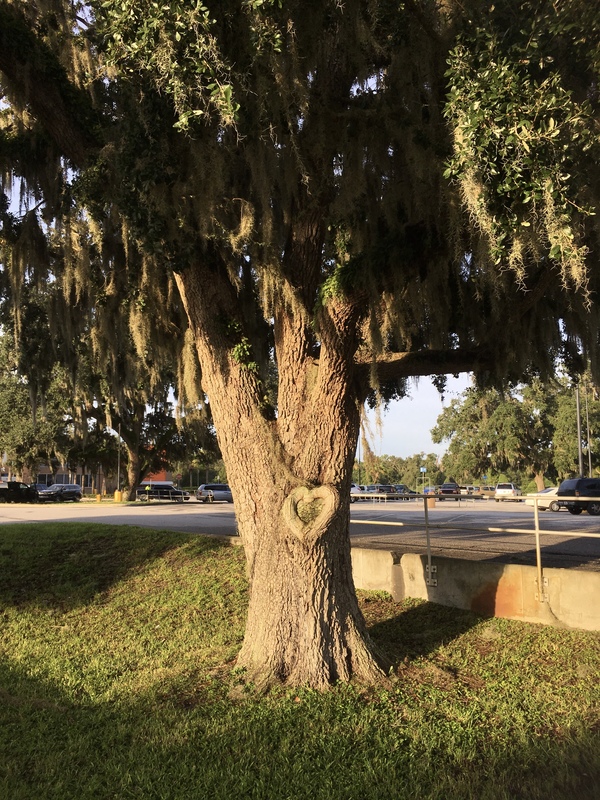 Even at my ebb tide, the Universe ~ my Spirit Guides/Angels ~ whoever or whatever invisible but ever present forces are here with me ~ presented me with a sign ~ a Tree with a Big Heart! All the strange and wonderful energies surrounding me turned my tears of sadness to tears of joy. This entry was posted in Uncategorized and tagged Appreciation, HOME ON THE ROAD, tincantravelerPhotos. Bookmark the permalink. How wonderful – nature is the helper. 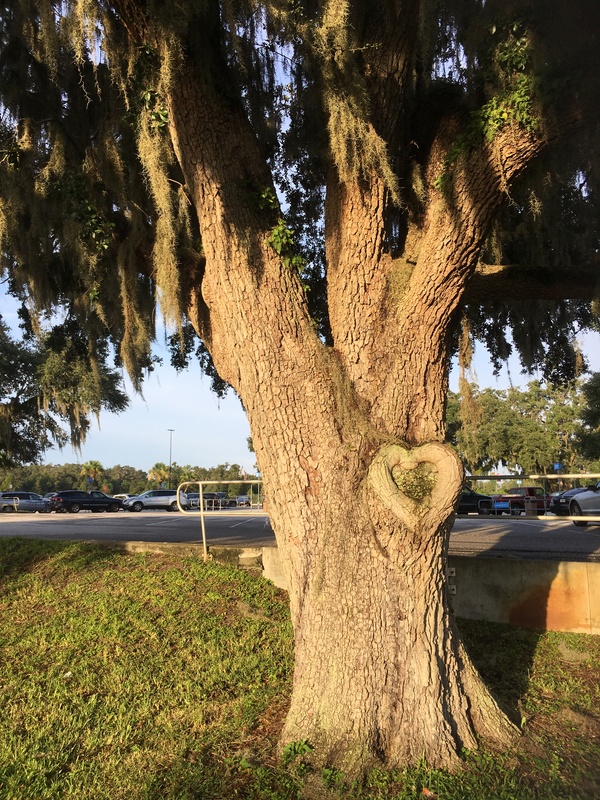 I will always remember that most amazing tree with the big heart. Love the ending to your story. What a happy ending. The beginning, not so much. Hope you find your nesting place soon. Light at the end of the tunnel. Where there’s a heart there’s hope. Gathered my resources, started making calls, I am now set up for the rest of the year. Ahh…… thank you, Sher for your faithful, loving words of faith and hope and love. Sarah ~ you made my day today, just hearing from you. Heartfelt Chi energy to you. thanks dear, and all the best to you!